Lockheed Martin CEO Marillyn Hewson met with Donald Trump in December, and it didn’t appear to go well. 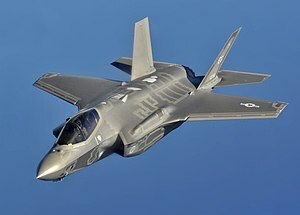 “Based on the tremendous cost and cost overruns of the Lockheed Martin F-35, I have asked Boeing to price-out a comparable F-18 Super Hornet!” Trump said in a tweet after the meeting. But on Friday, Hewson made another trek to Trump Tower and the meeting appeared to be favorable for the F-35’s future — and Lockheed’s thousands of employees in Fort Worth. Curtailing the costs of the Department of Defense’s most expensive weapons program in history won’t lead to fewer jobs, according to Hewson. This week has brought good news for Lockheed employees and the future of the F-35 in Fort Worth. On Thursday, the Naval Air Station Joint Reserve Base Fort Worth was announced as a home for a squadron of F-35 jets. And Fort Worth Rep. Kay Granger, a fierce backer of the F-35 program whose congressional district would likely benefit from new jobs, was named chair of the powerful Appropriations Subcommittee on Defense on Wednesday. The move puts Granger in charge of the annual defense bill, which includes funding for the F-35. STAR-TELEGRAM REPORTERS MAX BAKER AND ANNA TINSLEY CONTRIBUTED TO THIS REPORT.